This Thursday we welcome Sean Holloran, a singer/songwriter from Baltimore. He will be performing Thursday night at 9:30pm. On Friday, it’s the Keith White Duo at 6pm followed by Human Connection at 10pm. On Saturday, Kyle Offidani kicks it off, followed by that high energy party band Petting Hendrix! 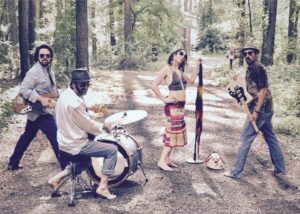 This Thursday we welcome The Raquels, an Ohio-based band, to The Pond. They are touring the east coast to promote their new CD. Stop by and check them out!! Show time 9:30pm. Also on deck this weekend: Petting Hendrix unplugged, Tyler Greene & Friends, Fil Rhythm Band and Radio Halo! Plus, Karaoke on Tuesdays at 9:30pm!! The DIVAS are back! 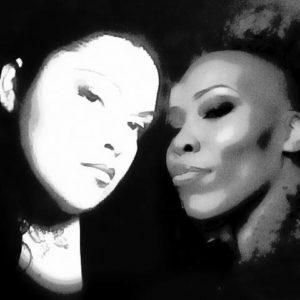 Yep, Kelly & P.J., aka The Divas of One Love, are back at The Pond this upcoming Saturday at 10pm. Lots of great entertainment including Surreal Nation, Keri Anthony, Freshly Squeezed, Kyle Offidani, not to mention our weekly players: Jodi Lynn, Lower Case, Green Means Go and of course, Rehoboth Open Mic. Did we forget Karaoke? Nope, that’s on Tuesdays at 9:30pm!! We had a blast this past week/weekend at The Pond and thank ALL of you for coming in for great music, the World Cup and so much more! Once again we have another great week of music! Once again, there’s a lot going on here at The Pond, from Sweet Leda’s Daytime Show on Saturday to the World Cup Semi Finals and Final! World Cup fans!! We will have the semi-finals on the big screens with sound on Tuesday and Wednesday at 2pm. For the duration of the game, ALL our draft beer will be $2 OFF plus we will have $15 Mix-n-Match Buckets. From the kitchen, Chef Dave has Crab Mac-n-Cheese balls and Loaded Chicken Bites! On Sunday for the World Cup final, we will open at 10am for a World Cup Breakfast, $2 Bloody Marys, Spicy Marys and depending on what teams are in the finals, a special drink! Game Time is 11am. So what can we say about Sweet Leda? Their daytime show last year was such a huge event that we decided to make it an annual thing. Show time is at 6pm and Julie has announced a special guest will be joining the band. Check out the Event Page! After Sweet Leda, stick around for Green Means Go! Looking for a great place to watch World Cup? Come to The Pond, where we have the games on the big screens and the sound system! There’s a lot of great entertainment happening at The Pond this week. Mama’s Black Sheep is back for the weekend along with 80s band The Jimmies and everyone’s favorite party band, Petting Hendrix! And if that’s not enough, Carla & Chris will be performing on Thursday evening at 9:30pm. This week at The Pond we welcome Mick Fury. We are doing something a bit different this week as Mick will be doing three shows with us, each a bit different. 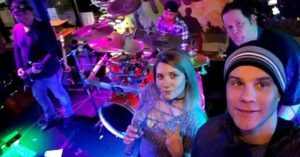 Thursday at 9:30pm will be more singer/songwriter but he will have you singing and joining in; Friday at 10pm he will rock the house and Saturday at 5:30pm will be a bit of both styles. Phil Knight is back on Friday at 6pm and on Saturday Night at 9:30pm is our 13th Annual DJ Sharon’s Legendary 4th of July Weekend Dance Party! On Sunday, stop by The Pond for dinner and Jodi Lynn at 6pm. Then, after the Rehoboth Beach Fireworks, stop back at The Pond for Lower Case Blues! Thursdays at 7pm ~ Let’s Do Trivia! The Pond welcomes two new artists/bands this week. Fil Rhythm Band on Thursday and Big Rumble Twist Band on Saturday. You always can depend on The Pond for great LIVE music! Hey folks, we have a slight change to our entertainment line-up this weekend. 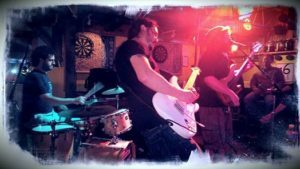 The most awesome Clifford Keith Band will be performing this Friday at 10pm and Human Connection will be performing on Friday, June 15th at 10pm. As usual, you can depend on The Pond for great LIVE music! Memorial Day Weekend is upon us and the entertainment at The Pond is outstanding! Mama’s Black Sheep will be kicking off the weekend on Friday, May 25th at 6pm and then will be back on Saturday, May 26th at 6pm. DJ Sharon’s Legendary Memorial Day Dance Party starts around 10pm on both Saturday and Sunday. On Sunday we have Jodi Lynn at 6pm followed by Lower Case Blues at 10pm!